Heat oven to 375°F. Separate dough into 4 rectangles; firmly press perforations to seal. On ungreased cookie sheet, press or roll each to form 7x5-inch rectangle. 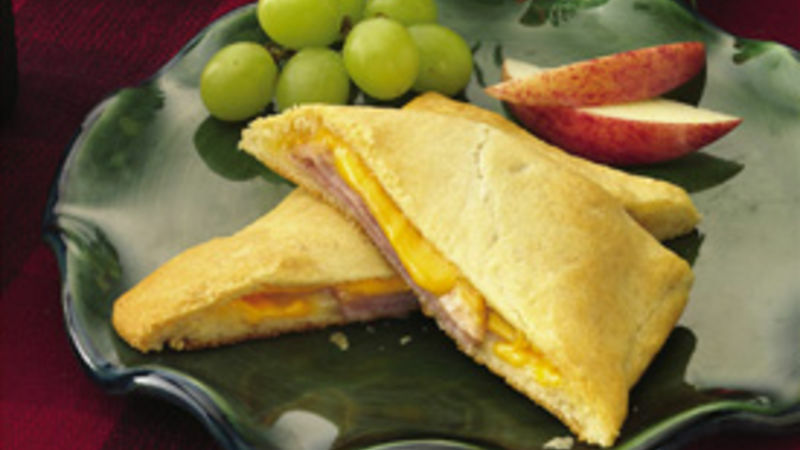 Place 1 ham slice and 1 cheese slice on each rectangle. For each rectangle, fold dough in half over filling; press edges firmly to seal.